Get rid of anything you aren’t bringing with you. 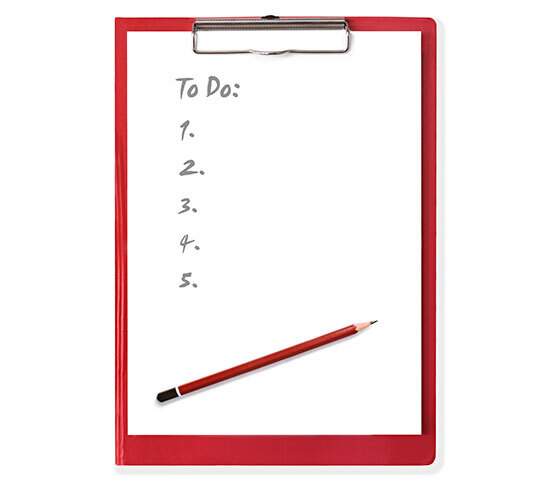 Make a list of everything you’re bringing to your new home. If you’re moving out of state, find out about auto licensing and insurance. If you’re moving in-state, find out where and how to change your address on your driver’s license. Notify your kids’ schools and have their records transferred to their new schools. Figure out what you’re bringing with you in the car or plane. Arrange for removal of “installed items” you’re bringing with you, like a TV antenna or shelves. Pack a suitcase with the clothes and toiletries you’ll need the first day in your new home. Plan your breakfast. Use paper and plastic plates and utensils to make things easier. Eating something on the road is better. Pack your personal belongings, except your alarm clock. Go to sleep early, you need a good night of rest for tomorrow. Make sure you’re at home when the movers arrive, so you can sign an inventory. Make sure everything’s been readied for the move. Before you leave, do a final walkthrough of every room. Check all closets and cabinets.